Running her clinic in Aurangabad, Dr. Ashwini Talpe has over a decade of experience in her chosen field of Gynaecology. She is also one of the specialists in infertility, and she is one of the most sought after expert in Aurangabad. An MBBS from the Government medical college, Dr. Ashwini Talpe, went on to get her MS in Obstetrics and Gynaecology from Grant Medical College, Mumbai. 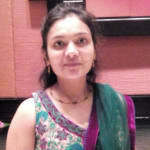 She has also done her Fellowship in Infertility (IVF Specialist) from Jaslok Hospital, Mumbai. Dr. Ashwini Talpe is well known for her works, and her experience includes Clinical Associate in IVF Department at Jaslok Hospital and Research Center Mumbai. She was also an assistant professor at GMC Aurangabad and Cancer Hospital. Her infertility treatment offers services for Surrogacy Treatment, Caesarean Section, Contraceptive Advice, Pre And Post Delivery Care, Gynae Problems, Gynecology Laparoscopy, Hpv Vaccination, Treatment Of Female Sexual Problems. Dr. Ashwini Talpe's offers her expertise for the treatment Of Menopause-Related Issues and Treatment of Menstrual Problems. Infertility is one of the major problems which 15 % of the population currently faces. Dr. Ashwini Talpe's experience in this field can help everyone to remedy the situation. Her programs are custom made for all the infertility related issues, and she has one of the highest ratings among her peers. She is well versed in English and Hindi her charges are INR 300 for a clinical visit. Her appointments can be easily booked online if you are from Aurangabad.